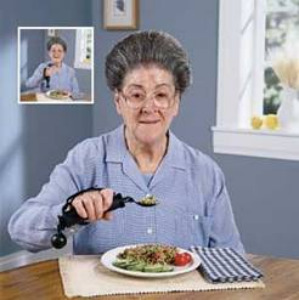 Weighted cups, bowls and eating utensils are a common, inexpensive way to make eating and drinking easier for those with with hand shaking or tremors. 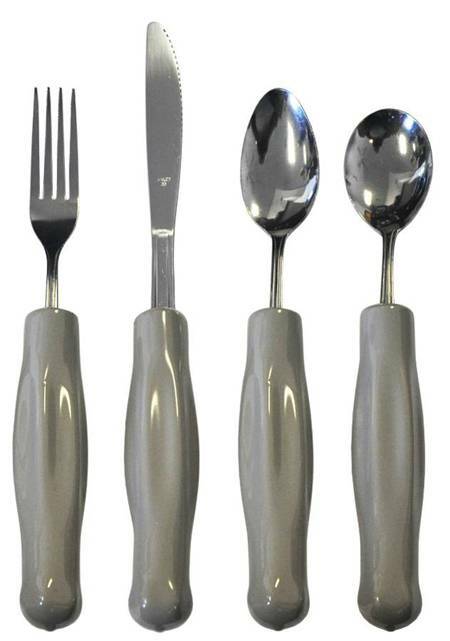 The weight of the cup or utensil lessens the intensity of the shaking or tremors. The Weighted Insulated Cup has a steel weight added internally to the base of the cup to increase the weight. The cup is also insulated to keep hot liquids hot and cold drinks cold and at the same time insulating your hand from either the heat or the cold. The cup comes with a Spout Lid which helps prevent spills. 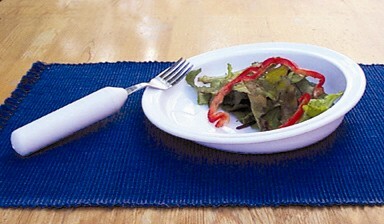 The cup is manufactured from a durable plastic and is available in blue. The Spout Lid is also constructed of plastic and is white. 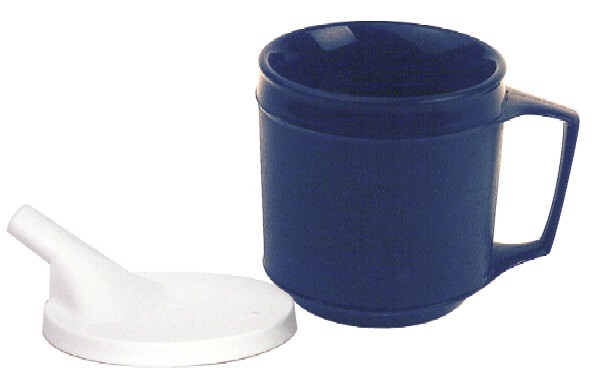 The weighted cup holds 8 ounces of liquid. If you wash this cup in the dishwasher please make sure it is on the top shelf only. Remember no microwave.